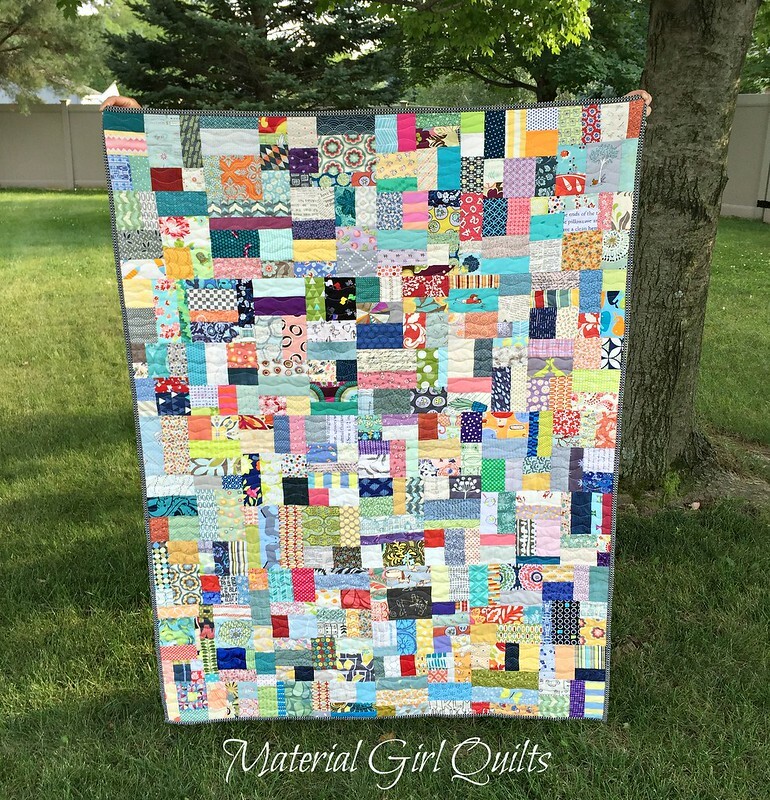 If you recall, at the beginning of the month I shared my scrap vortex quilt top with you and said that I was planning to use more scraps on the back...well, here is the finished quilt! 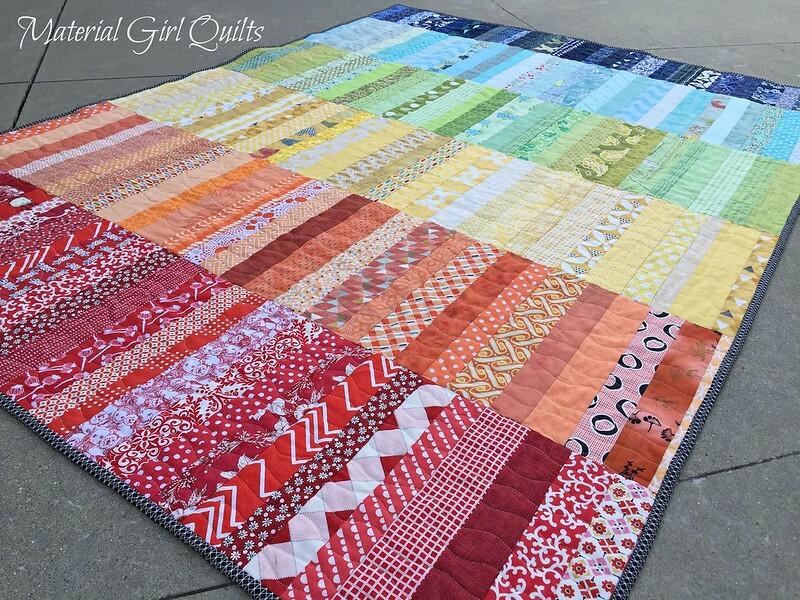 This is certainly the most colorful quilt that I've EVER made, and I LOVE IT!! 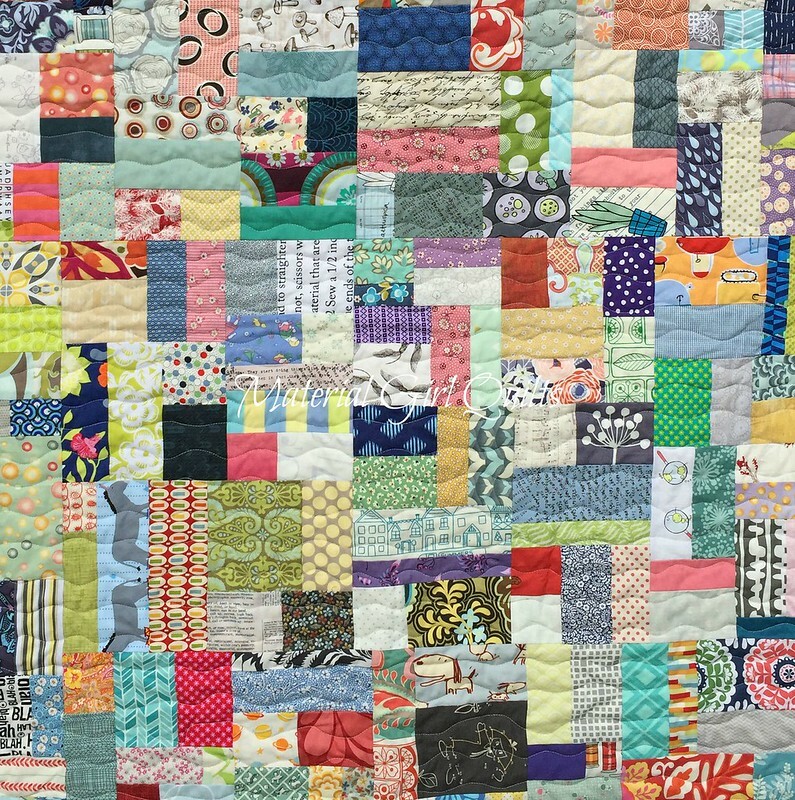 Everything except the binding in this quilt is from the scrap bin (even the batting!). I thought about using scraps for the binding as well, but I think the black and white Cotton & Steel print finishes off the busy quilt very nicely. 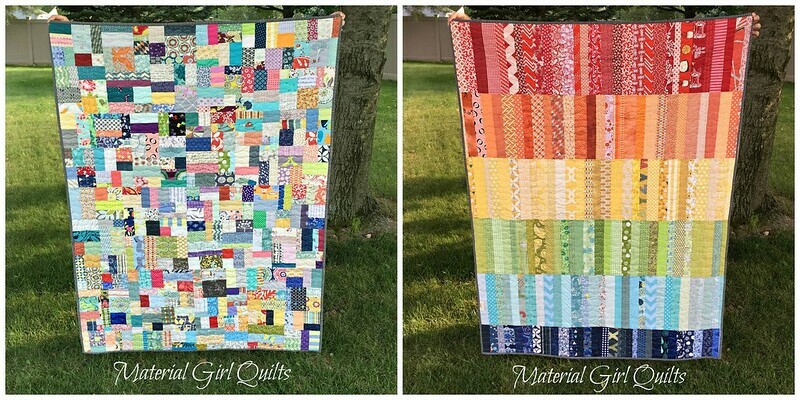 The "scrap vortex" side is great and full of some of my favorite fabrics from past projects. 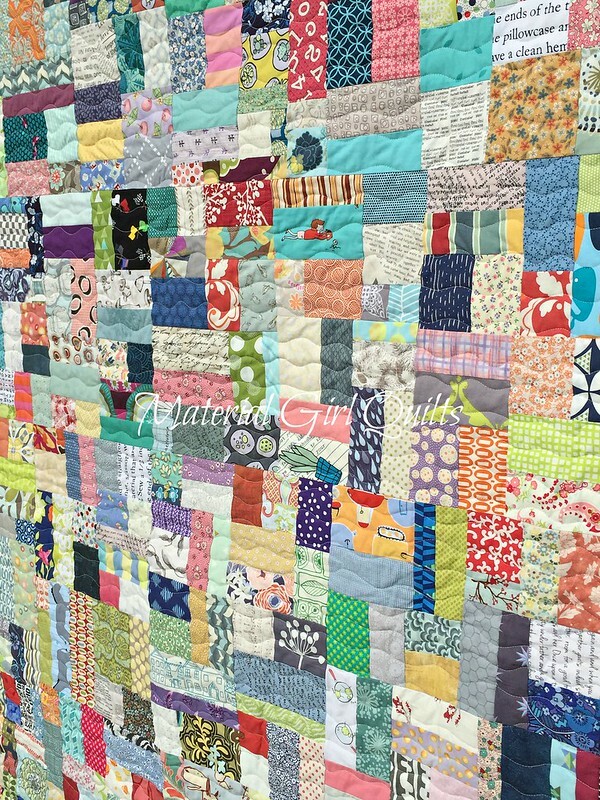 We even played a little "I spy" while hanging out at a garage sale this weekend because there are so many fun things on this quilt. "Side 2" as I call it (because honestly, I can't really call it the back!) came together pretty quickly. You may have followed the progress on Instagram. 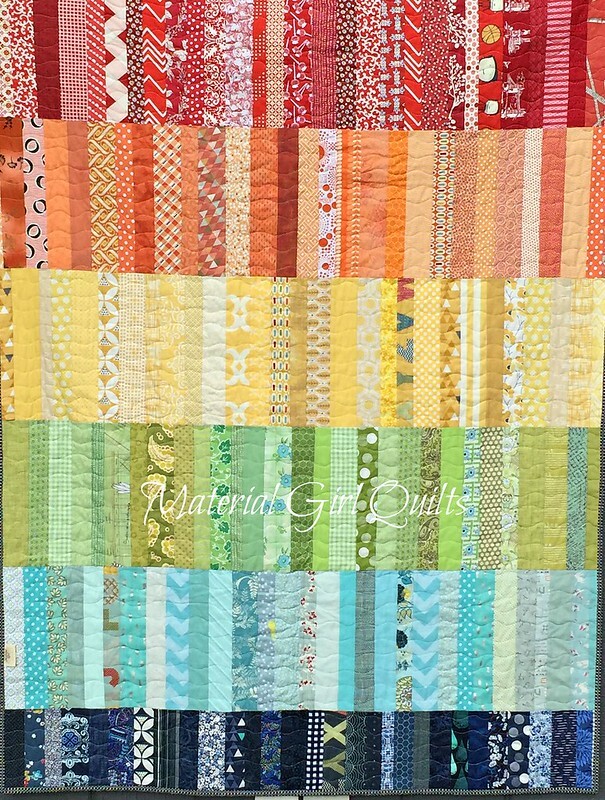 I'm not usually a rainbow kind of girl, but this scrappy version makes my heart sing!